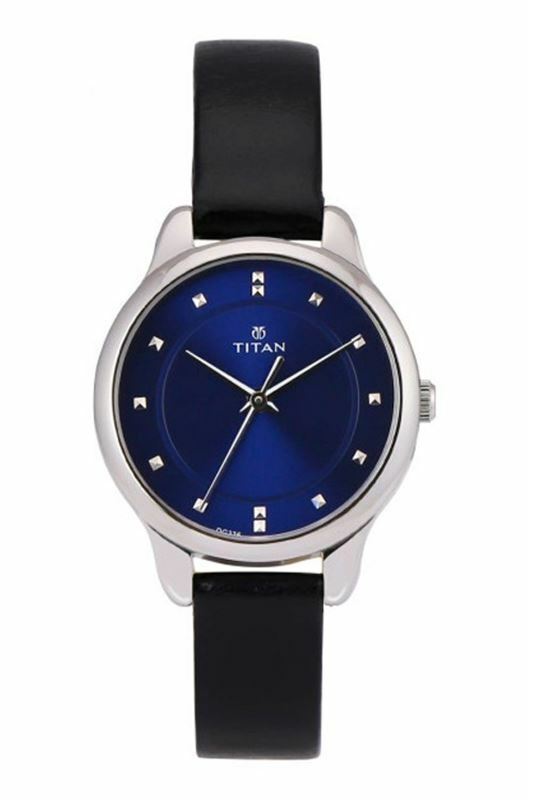 Decked in blue, this analog watch from the Titan Neo Collection for women has striking features in terms of design and functionality. The blue stick dial is surrounded by a shiny silver bezel, and is strapped to a black leather strap that clasps with the traditional buckle lock. The hands of the watch have a quartz movement and can be adjusted by a crown that's present on the right hand side of the case.